Ragnar Lothbrok was a fearless Viking hero who ransacked England and France and fathered the Great Heathen Army. However the historicity of the man with “hairy breeches” is subject to debate. Where does Ragnar the man end and the myth begin? Ragnar Lothbrok (also known as Ragnar Lodbrok) became widely known thanks to the History Channel’s hit series ‘ Vikings.’ As with the legendary King Arthur , Ragnar Lothbrok appears as an amalgamation of a number of historical personages and minor characters of legend. There is a theory that the folk heroes and demigods we know today were common men who did quite extraordinary things, for which they were rewarded with stories about them being told to later generations. As the years went on and generations passed, these stories gilded the characters and made them more godlike. That seems to be the case with Ragnar Lothbrok, whose actual existence is doubted by many scholars. However, there are a respectable number of historians who suggest that Ragnar did live, but his story was exaggerated to the point that he became a mythical figure. He most likely was a warlord who was the first Scandinavian to invade Britain. He is mentioned in several Nordic sagas , the most significant being The Saga of Ragnar Lothbrok , and the Gesta Danorum , which is believed to be the most illustrious literary work to come out of Medieval Denmark describing the country’s early history. The Anglo Saxon Chronicle also refers to ‘Ragnall’ and ‘Reginherus’ as a powerful and prominent Viking raider from 840 AD, these names are believed to be two variations of Ragnar. Both the name Ragnar and the nickname Lothbrok, which must not be confused with a surname, had many variations in the accounts of the age. “Lothbrok” could be interpreted as “hairy breeches” or “shaggy breeches” in Old Norse. He is said to have crafted the breeches in preparation to fight a dragon or giant serpent , to stop it from biting him. His name could be written as Regnar or Regner while his nickname could be written as Lodbrok or Lodbrog. The legendary Viking hero, who was also a king of Denmark and Sweden, was also known as Ragnar Sigurdsson, as he was said to be the Swedish king Sigurd Ring’s (or Hring’s) son in some accounts. When Ragnar grew up he was a handsome man who was a strong warrior. And his martial prowess showed. Ragnar is believed to have been the scourge of both early Medieval England and France, raiding the Anglian kingdoms of Northumbria and Wessex on many occasions, along with the Kingdom of West Francia , concluding in the siege of Paris in 845. Furthermore, he is also thought to have been married three times: first to shield-maiden Lagertha, second to the noblewoman Þóra Borgarhjǫrtr, and last but not least to Princess Aslaug. Each of these women have their own interesting stories. Aslaug, for example, is said to be the daughter of the dragonslayer Sigurd and the Valkyrie Brynhild and Þóra was the daughter of the jarl Herruð of Götaland (the town he saved from the aforementioned dragon). Ragnar’s existence can also be proved through his many sons (all historical figures); Ivar the Boneless , Björn Ironside , Halfdan Ragnarsson , Sigurd Snake-in-the-Eye, and Ubba; the Norse chieftains who would eventually lead the Great Heathen Army that would invade England, controlling and constituting it as a unified Medieval state from 865 to 878, after which the Danelaw was created (a territory under Danish influence and rule in early Medieval Britain). Ragnar’s sons invaded England to avenge their father’s murder at the hands of King Ælla of Northumbria, who, according to legend, seized Ragnar at some point and decided to sentence him to death by casting him into a pit full of snakes. If the story’s true (though many doubt it, suggesting it’s more likely Ragnar died somewhere along the Irish Sea between 852 and 856) that boastful Ragnar Lothbrok really headed into battle with just two ships to face the king, it would fit right in with his semi-mythical persona. Stories say Lothbrok’s sons avenged their father’s death by capturing King Ælla and performing the blood-eagle on him. History Channel’s Vikings is a historical drama that is loosely based on facts and Norse sagas. Despite the undeniable awesomeness of the series, the great acting, and the immense success of the show, there are some glaring inaccuracies that any history buff can easily spot. Does this mean that the show isn’t good? No! The show is truly good, and if it hasn’t gotten your attention yet, you should start watching it immediately. Season six, said to be the final season , will kick off later this year. Just make sure you don’t take everything you see literally because there are issues with the historical accuracy of the plot at times, Ragnar being involved in many of them. To begin with, Ragnar’s “brother”, Rollo, is a character based on the Norwegian Viking Gange-Rolf, the man who became the first ruler of Normandy. 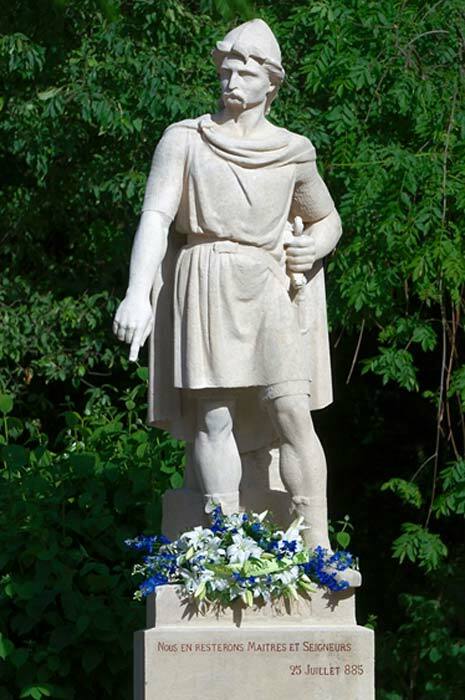 He is recorded as being the first Norse leader to settle in Francia, and he continued to reign until at least 928 AD. His descendants became known as the Normans, lending their name to the region of Normandy. He is also the great-great-great-grandfather of William the Conqueror , also known as William I of England, which means that Rollo is one of the ancestors of the present-day British royal family. He was born in 846 and died in 930, so not only was he not Ragnar’s brother, but he also gets included in events that occurred before he was even born. 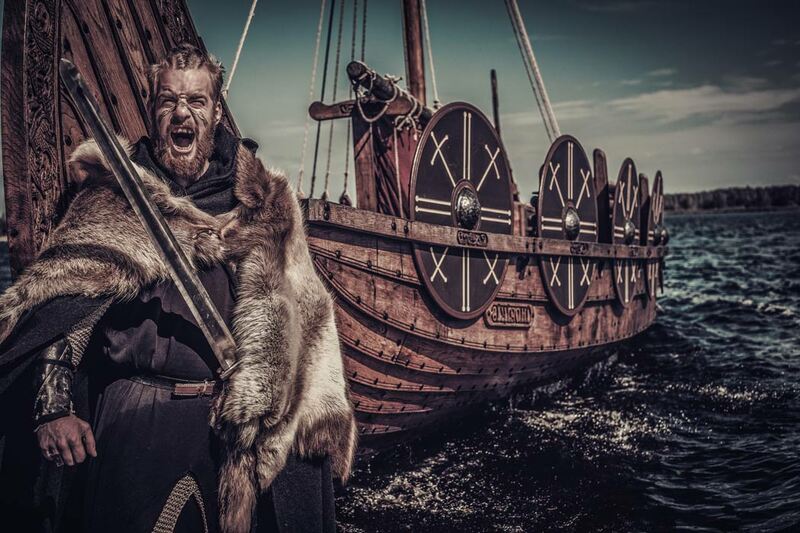 Fans of the series probably remember Ragnar and his crew raiding a monastery on Lindisfarne, a tidal island off the northeast coast of what is today England during the first season, a real raid that took place in 793. For the record, this is viewed by many historians as the beginning of the Viking Age . Then, in Season 3, Ragnar and his crew haven’t aged a bit and attack Paris, an event that took place in 845 and again in 885, over 50 or 90 years after the sack of Lindisfarne’s monastery. In other words, Ragnar and his fellow Vikings must have invented a time travel machine that the history books don’t tell us about. Last but not least, the show depicts Ragnar as being charmed by the Christian faith, but in reality, he was never baptized as the series depicts, as mass conversions of Danish Vikings didn’t happen until nearly a century later. He also doesn’t seem to be a very religious person in the series. He liked Athelstan very much and wanted to know more about his god out of curiosity. When Athelstan was killed by Floki, he didn’t forgive him easily. He buried Athelstan and even constructed a simple grave cross out of respect. However, it’s certain that when Ragnar fought against the Christians, he probably deeply believed that his gods helped him. And even if he appreciated Athelstan as a person and friend, it wasn’t that he believed in him like the Christian God, but rather believed in Athelstan’s qualities as a human being. So the question remains: Was Ragnar a real person? Judging from Norse sagas and lore it would be safe to conclude that Ragnar Lothbrok most likely existed but has as much to do with the legends surrounding him as the real man who inspired Hercules has to do with the stories revolving around him. I have just now began to watch the History Channel's series 'Vikings' and have found the series quite good. Here is my dilemma: I for one have never understood why so many stories 'based on actual events' have to be fabricated. Bringing to life actual events should be so much more accurate and better for it's viewers to understand what events took place and how they took place. I see that a lot with Hollywood productions - including Disney - changing storylines to suit their own needs. Generations from now, we tend to look at these movies and shows as the absolute truth and only leads to confusion of actual history. So endeth my two shillings. Interested in all aspects of ancient history, particularly military history. Ragnar was best played (IMHO) by Earnest Borgnine in the classic film, "The Vikings," with Tonny Curtis and Kirk Douglas, in 1958.